See for yourself. Google us. Do you show up #1 for what you do? We can help. When you’re looking for something (whether it be back pain relief, career advice, Mexican food, or a plumber) where do you go? If you’re like the majority of Americans today, you probably go straight to Google. So let me ask you this: When people are searching for things that you sell (pain relief, career guidance, wonderful food, or plumbing services), does your business show up at the top of results? If not, you’re missing out on a lot of potential clients who need your help. Here at Zellus we’ve gotten tens of thousands of dollars in business just for being at the top of searches. NO ONE GOES TO PAGE TWO!!! SO WHERE ARE YOU WHEN PEOPLE NEED YOU? If your business isn’t on the first page of search engine results when people search for your product or service, no need to fear. 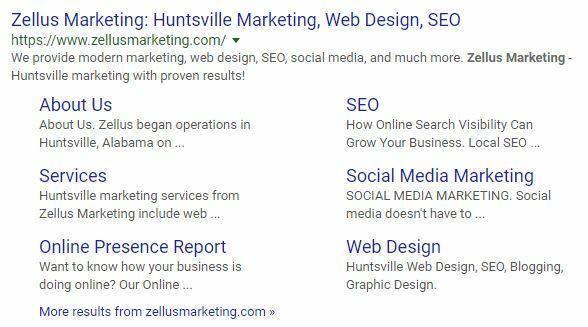 At Zellus, we thrive on offering quality SEO services that help businesses rank higher in search engines in order to bring in more traffic, leads, and sales. 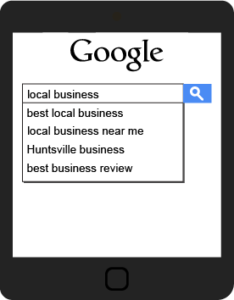 We’ve done it for ourselves (just Google “huntsville marketing” and see), and we would love to do it for you. Simply fill out the form for a free website and SEO audit.